It’s always a pain to get caught in situations where people are driving and are in need to speak with their employees, business partners, or a board of directors right at that moment. These are the situations that Volvo’s newest feature will attempt to address. By adding a Skype for Business feature on 90-series vehicles, drivers can just get in touch with their Skype contacts at any time. One could argue that such a feature is unnecessary when the driver can just call their contacts through the Skype app on their phones. However, this does bring up the matter of driving hazards, which the use of mobile devices falls under. So, much like how calling private numbers via built-in dialers on the steering wheel makes the practice a lot safer, it would appear that this is also the goal of the console Skype feature. As Autoblog notes, Skype for Business is generally meant for conference calls where multiple accounts can get in touch with one another over video or audio call. The publication makes note of the troubling prospect of such a work-centric service following users even to their cars. In any case, the Skype feature will be made available on the Sensus console that’s found in multiple 90-series vehicles. 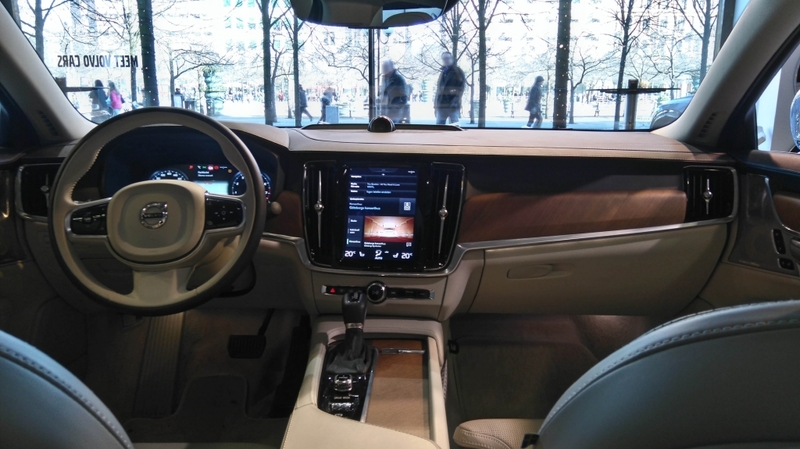 These include the S90 sedan, the V90 wagon, as well as the XC90 full-size SUV. Aside from the matter of safety, there’s also the prospect of convenience to consider when looking at the benefits of having Skype built right into the touchscreen console. Thanks to the more business-focused nature of the messaging product, joining conference calls becomes a lot easier to do on the bigger screen than on the smaller area of a smartphone, TechCrunch reports. It also works to reduce as many of the steps required to speak to contacts, add contacts, and so on. As such, it can be argued that both Microsoft and Volvo are trying to get ahead of an issue that could lead to an accident anyway.